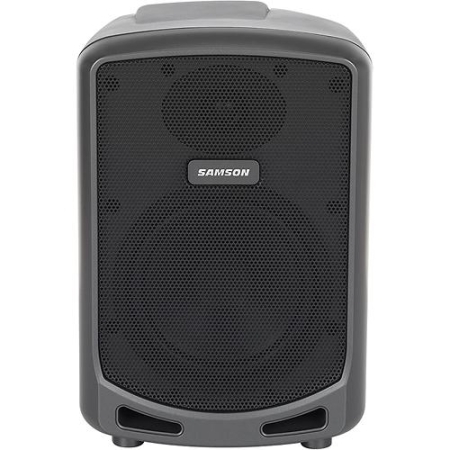 Samson's Expedition Express Portable PA with Bluetooth® is an all-in-one sound system that goes anywhere you want great sound. It's battery powered, weighs 10 pounds and even Bluetooth-enabled, so you can pair the Expedition Express with your smartphone, laptop or tablet and play your music without any need for cables. 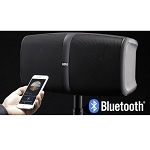 It's perfect for parties, presentations, classrooms and the rest of a rapidly pairing world. 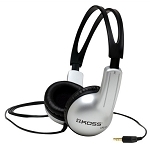 Delivering pristine, full-range sound, the Expedition Express employs a 2-way speaker design with a 6-inch woofer and a 1-inch high frequency driver. The unit also features a 3-channel mixer with XLR (microphones), 1/4-inch (guitar and line level devices) and 1/8-inch (MP3) input options. And to expand your sound, the Expedition Express has a Link output to cascade multiple systems together. In addition, a master 2-band EQ (Bass and Treble control) allow you to tweak your sound to appropriately match your specific setting and audience. The Expedition Express and an acoustic guitar are the perfect pair for practice, as well as small coffee house gigs and classic fire pit jam sessions. Wherever creativity strikes you, simply plug your guitar into the system's 1/4-inch input and you’ll be ready to give a solid acoustic performance. Holding its own as a portable acoustic guitar amplifier, the Expedition Express can go wherever your guitar goes. The Expedition Express is extremely lightweight and even offers a convenient integral top carry handle. These features, along with its internal rechargeable battery for eight hours of continuous use, let you bring the Expedition Express anywhere. 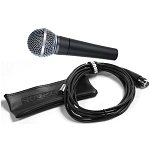 It also comes complete with a wired handheld dynamic microphone for delivering impromptu performances and professional presentations in any environment.